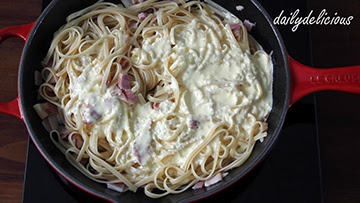 This is one of my niece's favourite (actually everything with cheese in the ingredient list is OK, for her, haha). 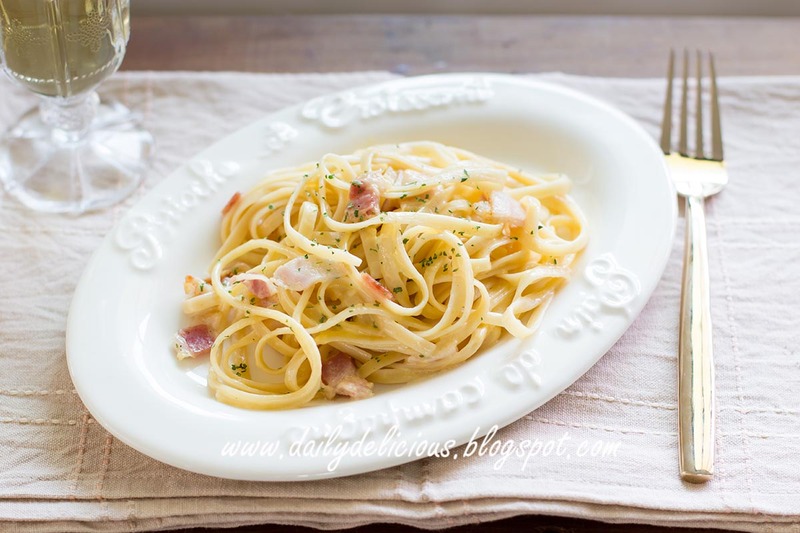 For me Spaghetti carbonara is my comfort food, and it's very easy to make. 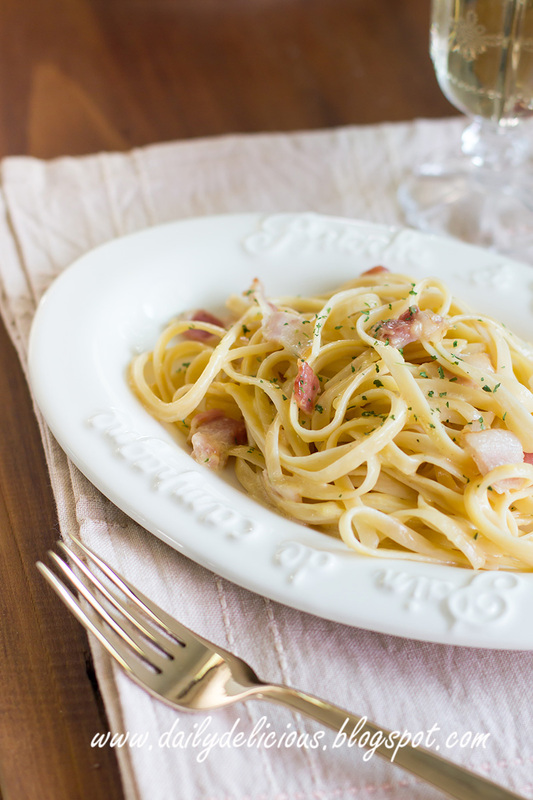 I have a load of recipes for this dish, but sometime the most basic one is the one that I make most. 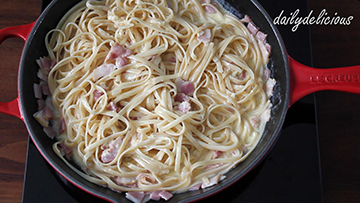 Spaghetti carbonara is a egg sauce pasta, the sauce has no flour added. The key is if you want smooth sauce and you can't let it cook on the heat too long or the egg will become cooked. Other than that it's very easy to make. Mixing all the ingredients for the sauce before cooking the pasta, so it's ready when you need it. 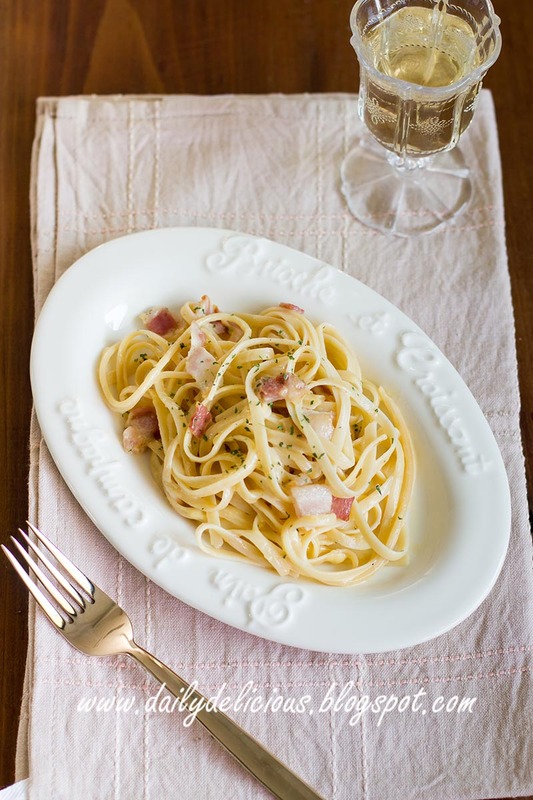 Serve the pasta hot from the stove, it will be creamy when eating. 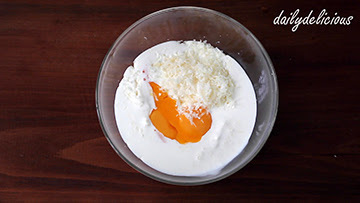 Mix Parmesan cheese, whipping cream, milk and egg yolks into a bowl. 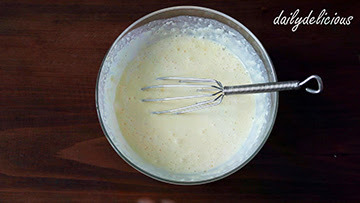 Whisk to combine, set aside. 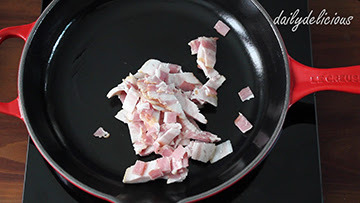 Boil water and sprinkle salt into the boiling water, then add the olive oil. 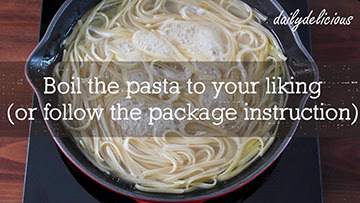 Cook the pasta (to your liking, or follow the package instruction). 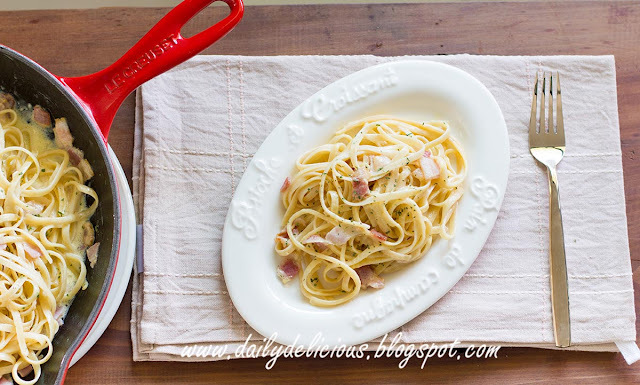 Drain the pasta, set aside. 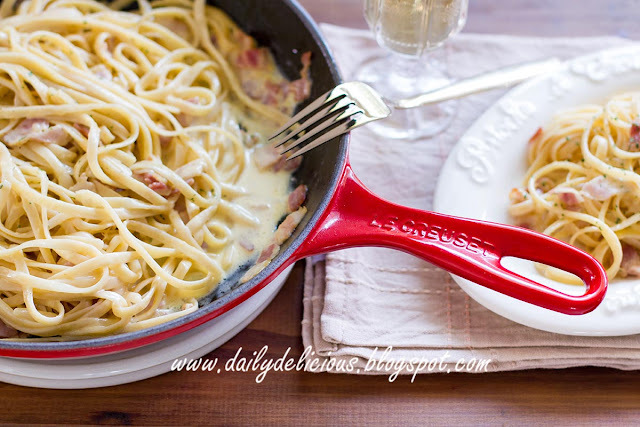 Cook the bacon until start to brown, pour white wine into the skillet, let the it boil. 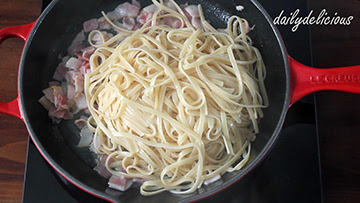 Pour the cooked pasta into the skillet, and stir to combine. Pour cheese mixture into the skillet. Stir to combine, and turn off the heat. Remove from the heat, season with salt and pepper, and sprinkle the chopped parsley over the pasta.